The last time that Andy Carroll and Kevin Nolan were regular features of Sam Allardyce's side the home support were calling for his head. Booing would resonate around the Boleyn Ground. A few months later Big Sam finds himself without a home defeat in his last 5 games and his side is playing some of the most entertaining football in the Premier League. The fans are now chanting ‘Barcelona, we’re coming for you’. 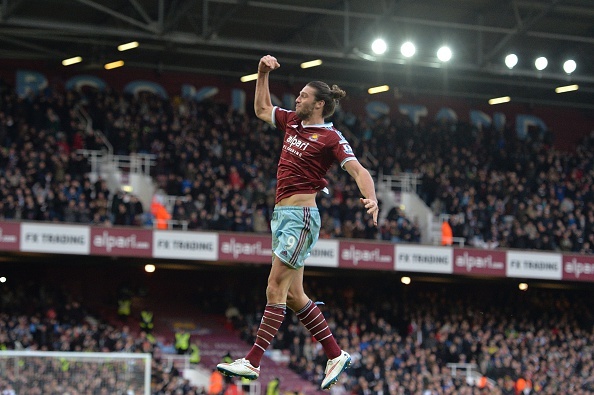 But with Carroll and Nolan's returns to fitness would that change? Both returned to a side depleted through injury a few weeks ago, but have kept their place through increasingly improved performances. The injuries suffered could have disrupted the chemistry that had developed on the pitch with some of Allardyce’s summer signings, but they kept their places even after everyone returned to fitness. And they were about to host one of the soundest defences in the league as only Chelsea and Southampton had conceded goals fewer goals than Swansea (14) ahead of Sunday’s clash. The game started tentatively for the home side as they had played just 246 minutes with Carroll up front in the Premier League this season, a player who had not scored or assisted a goal in his last 10 appearances for the club. Any rhythm to the game in the opening 35 minutes appeared to be stilted in trying to utilise Carroll to the best of his abilities. Although Swansea had the better of the first half it often looked half-hearted. Garry Monk lamented in his post-match press conference that he was disappointed in the overall performance of his team, perhaps sensing that they could have got something if they'd played to their usual standards. Their early efforts were not all for nothing though, with Wilfried Bony netting in the 19th minute as West Ham's defence could do nothing but watch. With that goal, Bony became the top scorer in the Premier League this calendar year, with 19 goals since January. Monk's disappointment at not pushing on for a second goal would not be just in his own team but watching West Ham regularly lump the ball forward. Rather than their high-tempo performances of recent weeks this was the West Ham that people expect - the one that just looks for their big man up front and hope he does something with it. But just before the half - their old strategy reaped reward. Andy Carroll re-announced his return to goalscoring in classic Andy Carroll style — holding off a defender while getting on the end of a cross to cleverly guide the ball past Fabianski with his head. The moment in which Carroll’s head met the ball seemed to galvanise West Ham as it had validated his inclusion in a side that had been so successful without him. Proving himself to be pragmatic and decisive, Allardyce opted to bring on his top scorer, Diafra Sakho, to start the second half in place of Enner Valencia, who had struggled in the first half to assert himself. Allardyce was quick to point out that it was his tactics, in reference to the half-time substitution, that really turned the game on its head. Despite still working on his match fitness after returning from injury, Carroll continued to shine throughout the second half. He continued to make the most of his height as he put a second header past Fabianski and assisted Sakho’s goal with a flick on from a punt upfield from Adrian. West Ham have now scored at least twice as many headed goals as any other team in the Premier League this season (12), and Allardyce accordingly lauded the exceptional skill it takes for a player to connect with the ball at the exact right moment. With three wins in just seven days, a feat matched only by Manchester City in the Premier League, it’s difficult to question the tactics that Allardyce has employed with a side that is sitting comfortably in a Champions League position 15 games into the season.